The idea that the body is designed is scientifically undeniable. All design opponents must appeal to chance or philosophical appeals, not mechanical testing. That is to say, the only evidence to support a non-designed human body is conjecture; it is an opinion based on bias. To demonstrate that, let me introduce you to hypothermia. As I write this, it is November in Ohio. While our weather is uncharacteristically warmer, it is still a time when we start to prepare for snow. Last weekend I put all the bikes away and pulled out the sleds while wearing shorts and flip-flops. Along with sleds, we also start to get out bigger jackets, thicker boots and put blankets and extra gloves in our cars—just in case. Cold weather is dangerous. But something significant happens in the cold, the body protects itself. Anyone who has experienced cold weather can appreciate this. The longer you are exposed to the cold the more you notice what your body is doing. First, the capillaries in your fingers and toes begin to shrink and stop taking blood. The lack of blood flow gives your most distal appendages a blue tint. Next, your muscles begin to gyrate. The shaking produces energy and generates warmth. The body is attempting to counter-act the cold exterior by producing its own warmth on the inside. All the while, the cardiovascular system begins to increase in rate and pressure. The body is cycling the warm blood to the outer portions, but at the same time, it is protecting the critical organs in the trunk of the body. This is where so many points need to be realized. First, none of what is happening happens because of consciousness. I can’t will my capillaries to stop absorbing blood. I can’t think my heart rate up. I can’t force the hairs on my arm to stand up and fight the wind. This speaks to the design and purpose of the body over the ability to fight your way to survival. Another piece is the placement of the organs. What if our hearts were in the head and the brain was in the chest? That would be deadly in the cold (and many other areas). The heart in the core of the body allows the heart to keep the warm blood longest and function involuntarily even after the brain shuts down. And for those of you wondering, yes, the brain can completely shut down and life can still survive—it’s rare but possible. Through every piece of this scenario, the pieces of the body are working independently and harmoniously. It’s a brilliant design. There are two major objections to human design that I want to draw out. First, capillary reflex is a consequence of cold not because of a design. This is true. However, I didn’t share it as the only piece of the puzzle. The heart rate, muscle spasms, hair stimulation, and many other processes are all pre-emptive. The body begins to take action to fight the conditions. All the pieces need to be evaluated together and not individually. Second, this is how it is because this is how it needs to be. This is a common objection raised by evolutionists. The idea is basically saying, if earlier evolutionary attempts didn’t have this cold weather defense system in place, the evolution wouldn’t have happened. But, this is the point I started with—the only objections to intelligent design are all based on bias; it’s no longer about ‘evidence’ or ‘proof’ against design and about emotion—it is because it must be. Enter the last objection to intelligent design. “What kind of intelligent design would allow for cancer?” There are two major problems with this question. The first is the problem with the question. Just because you don’t know the reason does not mean the premise is false. I don’t really understand why bleach can remove the red from my reds but it can’t remove the red from my whites. That doesn’t mean bleach doesn’t work or bleach doesn’t exist. Not understanding God’s nature doesn’t disprove design and it certainly doesn’t prove chance. I say all this to bring this final point to the forefront. 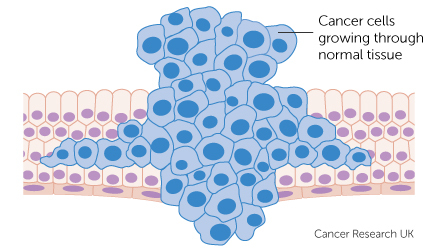 The fact that cancer is so disastrous is far more evidential for design than evolution. Cancer is evolution is real-time. For years we’ve all read summaries and scholarly reports that evolution is all about small changes. If, we are told, that one genome within a strand of DNA mutated and began producing something different, we would see evolutionary change. News flash, cancer is mutated cells producing something different. In this case, the difference is deadly. Cancer isn’t producing a sixth finger or a third eye or an 8 chamber heart, or cold resistant capillaries. Cancer is destroying the things that are working; the design is more clearly viewed through the lens of the broken. With that, I’d like to introduce you to Kelsy Sandmann. Kelsey is a young warrior. She is active in her community; she is strong and courageous; she is a fighter. Kelsey has been battling stomach cancer for over two years—no small feat for someone just out of high school. I’ve known Kelsey for only a few years, all of which after her initial diagnosis. She taught my daughter acting and theatre. Even amidst the stress of directing community theater, she was always on. She would be seen smiling and working and hugging each and every kid, casting the vision of life and goodness and God to many while secretly battling the fight for her life. She never complained, never let anyone know how bad she hurt. In fact, when the news came that the cancer was irreversible, when the reality that a lifetime was reduced to a few days, when the dust settled and it finally sank in—it still didn’t make sense. Kelsey is too strong, she is too young, she is too vibrant and full of life. She has been covered in prayer and has a heart for God—this can’t be design! But look at me. I find myself falling to the appeal of emotion. It’s still not evidence that design is false. In fact, if we go back to the beginning of my post, when we talked about hypothermia. It was never about the will of the mind; thoughts don’t influence individual cells. Our design, while not always ideal, is designed nonetheless. And nowhere else is it as clearly seen as it is through the lens of cancer. I can’t imagine the journey you’ve travelled. I can’t put myself in your shoes or the shoes of your parents. Your family is among the strongest I’ve ever known. I’ve seen the way you carry yourself when pressure is on. I’ve seen the way you have never let the cancer define you. I’ve seen the influence your friendship has had on so many. I’ve travelled hundreds of miles and found love and respect for you and the gift of life you’ve given to so many. I smile as friends of friends to the third and fourth degree post “Team Kelsey” shirts on FaceBook from all over the country. Now one knows their future. The Bible tells us that the rain falls on the just and the unjust. Solomon’s wisdom called into question why the young hurt and the old is full of evil. In the end, he found, that each piece is part of a bigger plan. Kelsey, your heart and your life have risen to the top. I wish I had known you better, because the fraction of your life where mine and my families has overlapped with you and yours, has been a blessing beyond measure. My dear Sandmann family, you are loved.